A couple of years ago, as Volkswagen and various agencies began to come to agreements in the Dieselgate scandal, the automaker made a bold prediction. It said that it would build 1 to 3 million electric vehicles (EV) a year. It also said that it would be selling 1 million per year by 2025. The way things are rolling out at VW, it looks like they may make their goals – and possibly then some. Indeed, they may surpass them as VW plans as the price of gasoline in the United States heads past $3 a gallon to $4 or more. The price is key. There comes the point where people cannot afford gasoline as it becomes too high a portion of their spending. At this point, they will likely look at their vehicle and think it’s time for a change. At that point, the automaker with the most extensive selection and best deals on electric cars will be the winner. This is why VW’s other prediction, that by 2030, it would be selling 3 million EVs a year may just come true. Right now, VW is ramping up for those sales. As part of its Deiselgate settlement promises, the automaker did make its commitment to EVs to mitigate the added NOx emissions that the 700,000 turbodiesels that couldn’t meet the standards added to the atmosphere. Each of its 12 subsidiaries – Audi, Porsche, VW (brand), SEAT, Skoda, Bentley, Bugatti, Lamborghini, MAN Trucks, VW Vans, Ducati, and Scania – was tasked with producing families of electric vehicles so that the VW Group would have more than 80 models for its customers. In size, Volkswagen is the largest automaker in the business. It was also number one in sales through most of last year and is right around that mark right now, as well. This means that any moves it makes are outsized and have more impact than if, say, Nissan, Toyota, or Honda turned its fleet in EVs. Just remember the figure 80 EV models from one automaker, while the other global leader, Toyota, might be able to produce 20 by itself and through its three subsidiaries – Toyota (brand), Lexus, Daihatsu. Yes, it is a lopsided battle that VW is positioned to win. It will win with vehicles like the Porsche Taycan. If you find the name a bit more than intriguing, believe it or not, so do we. Though some call it the four-door Mission E, the name the performance EV has carried since its debut as a concept vehicle at the 2015 Frankfurt Motor Show. For the last three years, Mission E has been its name. The fact is that it is not a bad name for a vehicle. Some may like Taycan – it does follow VW’s naming scheme. You would think that if an automaker is ready to announce the name of a new product that it would be prepared to go, kicking sales into high gear. Well, not quite as there are, as you might imagine, some steps remaining. First, the automaker has to make sure there’s enough room for Taycan’s assembly line. To that end, Porsche has set aside a dedicated assembly area for the EV at its Stuttgart-Zuffenhausen assembly plant. Also, the automaker has added a new paint shop and conveyor bridge to move the painted bodies and drive units to final assembly. And let’s not forget getting the dealers ready for the new EV.Taycan's Future Discussed. Porsche is also expanding the engine plant so that there is room for electric motor production and in the plans is a new body shop. The Taycan will bring 1,200 new jobs to Zuffenhausen. And there may be more jobs in the offing as Porsche plans further investment at its Weissach Development Center. 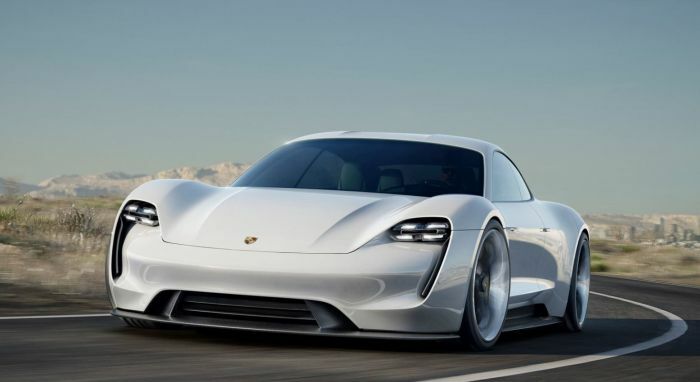 Porsche is setting aside a dedicated assembly for the EV at its Stuttgart-Zuffenhausen headquarters, as well as a new paint shop and a conveyor bridge to move the painted bodies and drive units to final assembly. Planning for the Future of the Taycan. The engine plant there is expanding to house electric motor production, and Porsche is planning a new body shop. The Taycan will be responsible for 1,200 new jobs in Zuffenhausen, and Porsche intends to invest more at its Weissach Development Center. Porsche is planning significant investments over the next several years as well. The new Taycan is a monster car. It will move from 0 to 60 in under 3.5 seconds thanks to its two motors that put out more than 600 horsepower. According to the automaker, the Taycan offers a 300-mile driving range, on the Euro driving cycle.